Colonies of Paper Wasps consist entirely of female wasps who are ordered according to a strict hierarchy. After mating, the females fight each other for dominance in the colony. Those who prove to be better fighters have more dominance. This means that they can spend more time laying eggs and less time working. 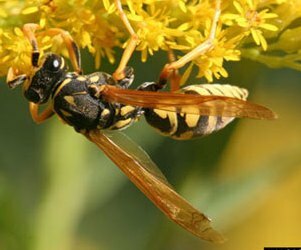 Researchers studying Paper Wasps found, however, that the situation was more complicated than that. They observed that the stronger fighters generally had more black splotches on their face than the weaker fighters. To test if the black markings were related to hierarchy, researchers painted some of the wasps’ faces to make them look higher or lower in the hierarchy than they really were. Researchers found that the rest of the colony would not tolerate the social imposters. Those who were caught lying about their status were harassed continually by the others. This was true whether their faces showed them in a higher or lower status than they really were. Researchers also found that a few wasps had mutated so that their faces inaccurately signaled their status. They were also attacked. The scientists concluded that the wasps’ face coloring accurately predicted their strength. 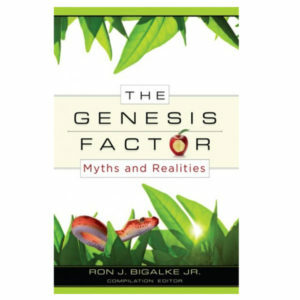 While sin entered the world through the temptation of the father of lies, God’s standard is the truth. Those who love God’s truth will seek to reflect truth in their lives. Father, I thank You for Your Gospel truth. Help me to grow in Your truth and faithfully share it with others. Amen.